^ 2.0 2.1 2.2 2.3 Square Electronic Arts (编). Final Fantasy VIII North American instruction manual. Square Electronic Arts. 1999: 20, 24, 28–36. SLUS-00892GH. ^ 3.0 3.1 Cassady, David. Final Fantasy VIII Official Strategy Guide. BradyGAMES Publishing. 1999: 4. ISBN 1-56686-903-X. ^ Studio BentStuff (编). Final Fantasy VIII Ultimania. DigiCube/Square Enix. 1999: 64. ISBN 4-925075-49-7 （日语）. ^ Cassady, David. Final Fantasy VIII Official Strategy Guide. BradyGAMES Publishing. 1999: 6, 11, 13, 14, 16, 18–19. ISBN 1-56686-903-X. ^ 6.0 6.1 6.2 Final Fantasy VIII – World. Square Enix. [2007-03-24]. （原始内容存档于2007-03-08）. ^ Square Co., Final Fantasy VIII, PlayStation, Square EA, 1999-09-09, Centra Civilization - A civilization in Centra 4000 years ago. These Centra people emigrated to other continents and founded the Dollet Empire to the west and Esthar to the east. Centra was destroyed 80 years ago by the Lunar Cry. ^ Studio BentStuff (编). Final Fantasy VIII Ultimania. DigiCube/Square Enix. 1999: 40. ISBN 4-925075-49-7 （日语）. ^ Square Co., Final Fantasy VIII, PlayStation, Square EA, 1999-09-09, Scan description: Zell Dincht - Loves the hot dogs sold in the Garden cafeteria. Uses close combat fighting skills to defeat enemies with punches and kicks. ^ Square Co., Final Fantasy VIII, PlayStation, Square EA, 1999-09-09, Scan description: Ivrine Kinneas - An expert marksman. Can use specialized bullets to attack enemies. Doesn't perform very well under pressure. ^ Square Co, Final Fantasy VIII, PlayStation, Square EA, 1999-09-09, Xu: Our client for this mission is the Dollet Dukedom Parliament. A request for SeeD was made 18 hours ago. Dollet has been under attack by the G-Army since about 72 hours ago. ^ Square Co, Final Fantasy VIII, PlayStation, Square EA, 1999-09-09, Headmaster Cid: Seifer. You will be disciplined for your irresponsible behavior. You must follow orders exactly during combat. But I'm not entirely without sympathy for you. I don't want you all to become machines[;] I want you all to be able to think and act for yourselves. ^ Square Electronic Arts (编). Final Fantasy VIII North American instruction manual. Square Electronic Arts. 1999: 6–9. SLUS-00892GH. ^ Square Co, Final Fantasy VIII, PlayStation, Square EA, 1999-09-09, Squall: Our next mission... This is no ordinary mission. It's a direct order from both Balamb and Galbadia Garden. We're to [...] assassinate the sorceress. ^ Square Co, Final Fantasy VIII, PlayStation, Square EA, 1999-09-09, Squall: So, you've become the sorceress' lap dog? / Seifer: I preferred to be called her knight. This has always been my dream. ^ Square Co, Final Fantasy VIII, PlayStation, Square EA, 1999-09-09, Raijin: I dunno. At first, they were sayin' somethin' 'bout roundin' up the SeeDs, ya know!? Now, everyone's either sidin' with the Garden Master [NORG] or the headmaster and fightin' everywhere, ya know!? ^ Square Co, Final Fantasy VIII, PlayStation, Square EA, Fishermans' Horizon, 1999-09-09, Squall: I'm terribly sorry. It was inevitable... We lost control of the Garden. ^ Square Co, Final Fantasy VIII, PlayStation, Square EA, 1999-09-09, Squall: Oh, and one more thing... It appeared that the Galbadians were searching for Ellone. That seemed to be their main objective in [Fisherman's Horizon]. ^ Square Co., Final Fantasy VIII, PlayStation, Square EA, 1999-09-09, Ellone: People say you can't change the past. But even still, if there's a possibility, it's worth a try, right? ^ Square Co, Final Fantasy VIII, PlayStation, Square EA, 1999-09-09, Laguna: A fierce debate ensued about who should govern this country after [Sorceress Adel] was gone. I wasn't paying close attention while they made me up to be this hero of the revolution, and I ended up being president. ^ Square Co, Final Fantasy VIII, PlayStation, Square EA, 1999-09-09, Cid: This journey will involve many battles. A well-qualified leader is needed for this. Therefore, I am appointing Squall as your new leader. [...] He will decide our destination and battle plan. ^ Square Co, Final Fantasy VIII, PlayStation, Square EA, 1999-09-09, Squall: ...Why is it that we forgot? We grew up together as kids... How's that possible...? / Irvine: How about this? The price we pay for using the GF. The GF provides us its power. But the GF makes its own place inside our brain... / Quistis: So you're saying that the area is where our memories are stored? No...! That's just a rumor the GF critics are spreading. / Zell: [You mean,] if we keep relying on the GF, we won't be able to remember a lot of things? ^ Square Co, Final Fantasy VIII, PlayStation, Square EA, 1999-09-09, Edea: ...I have been possessed all this time. I was at the mercy of Sorceress Ultimecia. Ultimecia is a sorceress from the future. A sorceress many generations ahead of our time. Ultimecia's objective is to find Ellone. ^ Square Co., Final Fantasy VIII, PlayStation, Square EA, 1999-09-09, Rinoa: There was a sorceress inside me. Ultimecia, a sorceress from the future. She's trying to achieve Time Compression. ^ Square Co., Final Fantasy VIII, PlayStation, Square EA, 1999-09-09, Squall: Let's go, Rinoa. Let's go meet Ellone. Ellone will bring us together. ^ Square Co, Final Fantasy VIII, PlayStation, Square EA, 1999-09-09, Controller: The lunar world is a world of monsters. Didn't you learn that in school? As you can see, the monsters are gathering at one point. History's starting to repeat itself. The Lunar Cry is starting. ^ Square Co, Final Fantasy VIII, PlayStation, Square EA, 1999-09-09, Rinoa: But Edea's still...I can't guarantee anything, either, if Ultimecia possesses me again... You saw me. She controlled me in outer space and made me break Adel's seal. ^ Square Co, Final Fantasy VIII, PlayStation, Square EA, 1999-09-09, Descendant 1: Sorceress Rinoa. Hyne's descendant. / Descendant 2: Come with us. We must seal your power for the sake of the world. ^ Square Co, Final Fantasy VIII, PlayStation, Square EA, 1999-09-09, Doc Odine: There iz only one way to defeat Ultimecia. You must kill her in ze future. [...] Ultimecia probably needs to go back further in time to achieve time compression. Only Ellone can take her back further into ze past. [...] You will keep moving through ze time compression toward ze future. Once you're out of ze time compression, zat will be Ultimecia's world. It's all up to you after zat. ^ Square Co, Final Fantasy VIII, PlayStation, Square EA, 1999-09-09, Laguna: Adel will need to pass on her powers before being defeated. Rinoa, will you be willing to accept them? ^ Square Co, Final Fantasy VIII, PlayStation, Square EA, 1999-09-09, Squall: Both Garden and SeeD were your ideas. Garden trains SeeDs[;] SeeDs are trained to defeat the sorceress. ^ 35.0 35.1 35.2 35.3 35.4 35.5 35.6 35.7 Interview with Nomura, Kitase and Naora. 週刊ファミ通. ASCII Corporation. 1998-06-05 [2011-02-23]. （原始内容存档于2011-02-23）. ^ 38.0 38.1 38.2 Staff. Final Fantasy VIII Kitase, Nojima, Naora and Nomura Interview. Official UK PlayStation Magazine. February 2001, (71) [2009-11-15]. ^ 39.0 39.1 39.2 39.3 39.4 Studio BentStuff (编). Final Fantasy VIII Ultimania. DigiCube/Square Enix. 1999: 354–355. ISBN 4-925075-49-7 （日语）. ^ Samoon, Evan. Gun Show: A real military expert takes aim at videogame weaponry to reveal the good, the bad, and the just plain silly. Electronic Gaming Monthly. July 2008, (230): 49. ^ Studio BentStuff (编). Final Fantasy VIII Ultimania. DigiCube/SquareEnix. 1999: 43. ISBN 4-925075-49-7 （日语）. ^ Behind The Game The Creators. Square Enix North America. 2001 [2006-04-12]. （原始内容存档于2008-04-16）. ^ Studio BentStuff (编). Final Fantasy VIII Ultimania. DigiCube/Square Enix. 1999. ISBN 4-925075-49-7 （日语）. ^ Square (编). Final Fantasy VIII Origami Book. DigiCube. 1999. ISBN 4-925075-59-4 （日语）. ^ Sato, Yukiyoshi Ike. New FFVIII CD-ROM Announced. GameSpot. 1999-09-01 [2007-01-08]. ^ Nelson, Randy. PS2: Demos to Die For. IGN. IGN Entertainment. 1999-03-02 [2007-09-15]. ^ 47.0 47.1 Square Electronic Arts (编). Final Fantasy VIII North American instruction manual. Square Electronic Arts. 1999: 38–40. SLUS-00892GH. ^ Calderman, Dan. Chocobo World Playable on PC. RPGamer. 2000 [2006-08-10]. （原始内容存档于2007年9月30日）. ^ Staff. FFVIII PocketStation Opens Up Chocobo World. IGN. IGN Entertainment. 2009-09-23 [2006-08-10]. ^ Clements, Ryan. TGS 09: Final Fantasy XIII PS3 Bundle. IGN. IGN Entertainment. [2009-11-24]. ^ Ashcraft, Brian. First Look at Hi-Res Final Fantasy VIII for PC. Kotaku. ^ Final Fantasy VIII Returns to PC in HD. Anime News Network. ^ 55.0 55.1 Maeda, Yoshitake (1999). Final Fantasy VIII Original Soundtrack (Limited Edition). DigiCube. ^ 56.0 56.1 IGN Music. Twelve Days of Final Fantasy XII: Nobuo Uematsu Interview. IGN. [2007-03-30]. （原始内容存档于2006-12-07）. ^ Final Fantasy VIII Music Collection. RPGFan. 2000-06-23 [2007-03-27]. ^ Schweitzer, Ben. Final Fantasy VIII OST. RPGFan. 2006-06-17 [2009-10-10]. ^ Chandran, Neal. Final Fantasy VIII Fithos Lusec Wecos Vinosec. RPGFan. 2009-07-27 [2006-04-18]. ^ Bradley, Ryan; Gann, Patrick. Piano Collections Final Fantasy VIII. RPGFan. 2004-02-25 [2007-03-27]. ^ Mielke, James. A Day in the Life of Final Fantasy's Nobuo Uematsu. 1UP.com. 2008-02-15 [2008-08-05]. ^ Staff. Nobuo Uematsu's Profile. Square Enix USA. [2009-12-01]. （原始内容存档于2011-08-06）. ^ Sullivan, Meghan. Top Ten JRPG Composers. IGN. IGN Entertainment: 6. 2008-12-18 [2009-11-24]. ^ 20020220 – Music from FINAL FANTASY. RPGFan. [2007-04-01]. ^ Album Information – Tour de Japon: Music from Final Fantasy DVD. SquareEnixMusic. [2007-04-01]. （原始内容存档于2013-01-20）. ^ Schneider, Peer. Dear Friends: Music From Final Fantasy. IGN. 2004 [2007-04-01]. （原始内容存档于2007-03-22）. ^ Gann, Patrick. More Friends music from Final Fantasy ~Los Angeles Live 2005~. RPGFan. 2006-04-05 [2008-05-20]. ^ VOICES – Music from Final Fantasy. Square Enix Music Online. [2009-06-04]. ^ Concert Events- Music from Final Fantasy. Dallas Symphony Orchestra. [2009-06-07]. （原始内容存档于2009-06-27）. ^ Daiker, Brandon. Play! A Video Game Symphony. N-Sider. 2006-05-27 [2008-04-08]. ^ Final Fantasy VIII for PlayStation. GameRankings. [2009-10-29]. 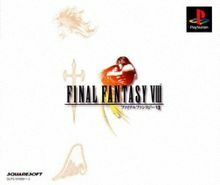 ^ Final Fantasy VIII for PC. GameRankings. [2009-10-29]. ^ Final Fantasy VIII for PlayStation Reviews. Metacritic. [2009-10-29]. ^ Ashcraft, Brian. Famitsu: Final Fantasy XIII Misses Perfect Score [Story Spoiler!]. Kotaku. 2009-12-08 [2011-04-23]. ^ 76.0 76.1 76.2 Staff. Final Fantasy VII. Edge (Future Publishing). September 1999: 87. ^ 77.0 77.1 77.2 Final Fantasy VIII. Electronic Gaming Monthly. January 2004, (123): 188. ^ 78.0 78.1 Vestal, Andrew. anything view.html Final Fantasy VIII for PlayStation Review 请检查|url=值 (帮助). GameSpot. 1999 [2006-07-13]. ^ 79.0 79.1 Kasavin, Greg. Final Fantasy VIII. GameSpot. 2000-02-02 [2009-11-25]. ^ 80.0 80.1 Koltookian, Gary. Final Fantasy VIII. GameSpy: 2. 2000-02-02. （原始内容存档于2011-06-03）. ^ 81.0 81.1 81.2 Lundigran, Jeff. Final Fantasy VIII Review. IGN. IGN Entertainment. 1999 [2006-07-13]. ^ Lopez, Vincent. Final Fantasy VIII Review (PC). IGN. 2000-01-28 [2009-11-25]. ^ 83.0 83.1 Staff. Final Fantasy VIII. Maximum PC. April 2000, 5 (4): 85. ^ 85.0 85.1 Wolpaw, Erik. When Ports Go Bad – Final Fantasy VIII Is a Major Disappointment as a Port and as a Game. Computer Gaming World. November 2000. ^ Staff. IGN.com Announces 'Best of E3' Awards Capcom, Microsoft, Midway and Rare Take Top Honors. PR Newswire. 1999-05-24. ^ 88.0 88.1 Staff. Top 40. Computer Gaming World. December 2000, (196). ^ 89.0 89.1 89.2 89.3 Staff. Top 25 Games of All Time: Complete List. IGN. 2002-01-22 [2009-11-25]. ^ Staff. Final Fantasy VIII Tops Videogame Charts. IGN. IGN Entertainment. 1999-10-05 [2006-03-16]. ^ Sato, Yukiyoshi Ike. FFVIII Sells Six Million Copies Worldwide. GameSpot. 1999-12-14 [2006-03-16]. ^ Staff. FF8 Breaks Sales Records. IGN. IGN Entertainment. 1999-12-19 [2006-03-16]. ^ Berardini, César A. An Introduction to Square-Enix. TeamXbox. IGN Entertainment. 2006-04-26 [2008-10-16]. ^ Staff. Final Fantasy VIII Is Out!. IGN. IGN Entertainment. 1999-09-07 [2006-03-16]. ^ Staff. Final Fantasy VIII Sells One Million. Gamasutra. 1999-12-09. （原始内容存档于2008-04-21）. ^ Titles of game software with worldwide shipments exceeding 1 million copies (PDF). Square Enix: 27. [2008-03-01]. ^ Staff. The Top Ten Video Game Openings. Game Informer. November 2008, (187): 38. ^ GameSpy's Top 25 Video Game Cinematic Moments. GameSpy. 2007-04-16 [2010-06-28]. ^ Staff. Best Moments of Final Fantasy. UGO.com. UGO Networks. [2009-11-25]. （原始内容存档于2009-08-15）. ^ Campbell, Colin. Japan Votes on All Time Top 100. Next Generation Magazine. 2006 [2006-03-11]. ^ Kalata, Kurt. A Japanese RPG Primer – Final Fantasy VIII. Gamasutra: 9. 2008-03-19 [2009-11-25]. ^ 全世界で大ヒットを記録した「FINAL FANTASY VIII」がPlayStation Storeのゲームアーカイブスに登場！ (PDF). 2009-09-24 [2018-12-18]. ^ Staff. Final Fantasy VIII PS Review. 1UP.com. UGO Networks. 2000-01-01 [2006-07-13]. ^ Liu, Johnny. Game Revolution Review Page – Final Fantasy VIII. Game Revolution. 1999 [2006-07-16]. （原始内容存档于2012-02-08）. ^ 107.0 107.1 Staff. The World of Final Fantasy – Final Fantasy VIII. UGO.com (UGO Networks). ^ Koltookian, Gary. Final Fantasy VIII. GameSpy: 1. 2000-02-02 [2009-11-25]. （原始内容存档于2009-01-14）. This page is based on the Wikipedia article 最终幻想VIII; it is used under the Creative Commons Attribution-ShareAlike 3.0 Unported License (CC-BY-SA). You may redistribute it, verbatim or modified, providing that you comply with the terms of the CC-BY-SA.